Due to cloudy and possibly rainy conditions, the Cherry Blossom Festival has been moved to Sunday, April 7! None of the activities have been changed. 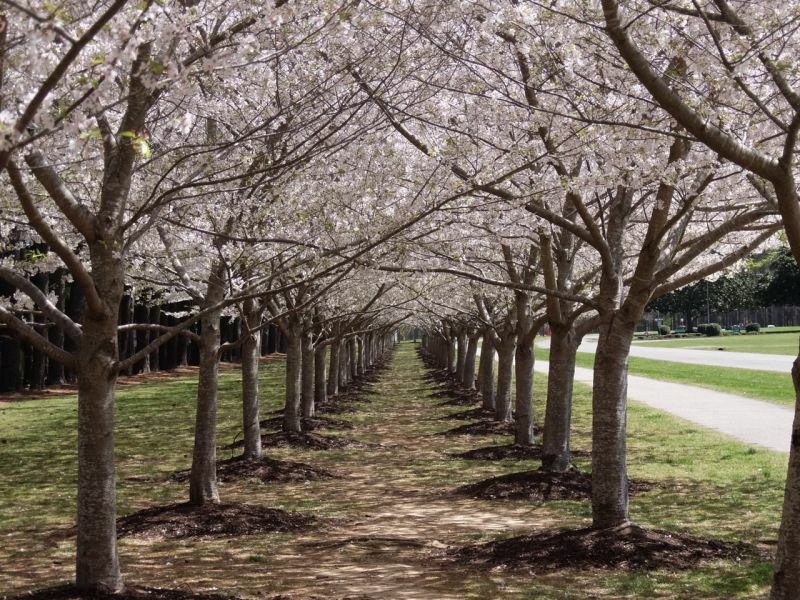 Join Red Wing Park and Virginia Beach Parks and Recreation for the annual Cherry Blossom Festival, which celebrates Japanese culture and the beautiful cherry blossom trees. Modeled after the festival in Washington, D.C., the Virginia Beach Cherry Blossom Festival is an annual celebration of the goodwill friendship between Japan and the United States. 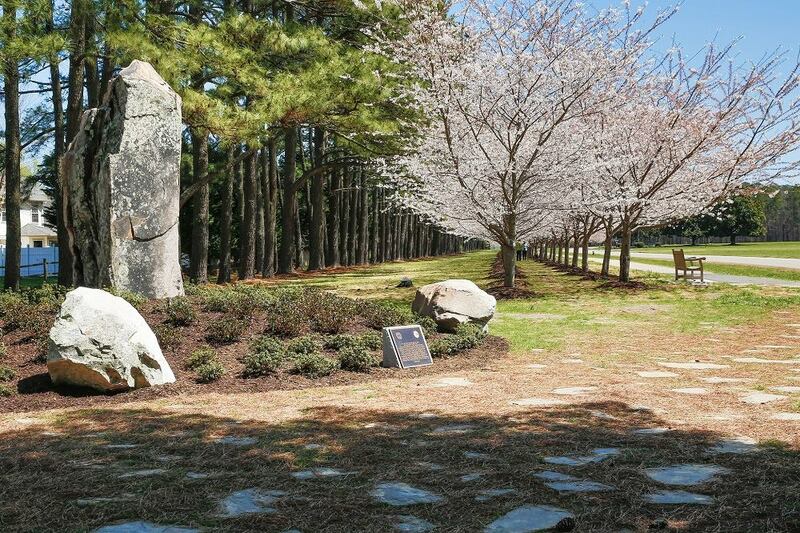 Red Wing Park is one of the smaller parks in Virginia Beach but is conveniently located right off General Booth Blvd. with easy access and a walking track that wraps around the entirety of the park. The cherry blossom trees are located in the Japanese-inspired garden and along the left side of the track -- make sure to take lots of pictures! UPDATE: See the schedule of events, here! The event will feature rich Japanese culture, viewing of 150 Yoshino cherry blossom trees, Japanese musical performances, martial arts demonstrations, a peace monument, Japanese crafts and games, and barley tea samples. There will also be a host of food truck vendors available, including Dong's, Funnel Cake Factory, Bumbling Bee, Ohana, Eastern Star, Road Dogs, and Keep It Poppin. While Red Wing Park encourages you to bring your dog, they also remind you to please clean up after them. All ages are welcome to attend the festival and are, in fact, encouraged. Make sure to bring a water bottle, sunscreen (it's getting harsh out there), blanket and/or lawn chair with you for the performances and musical events. 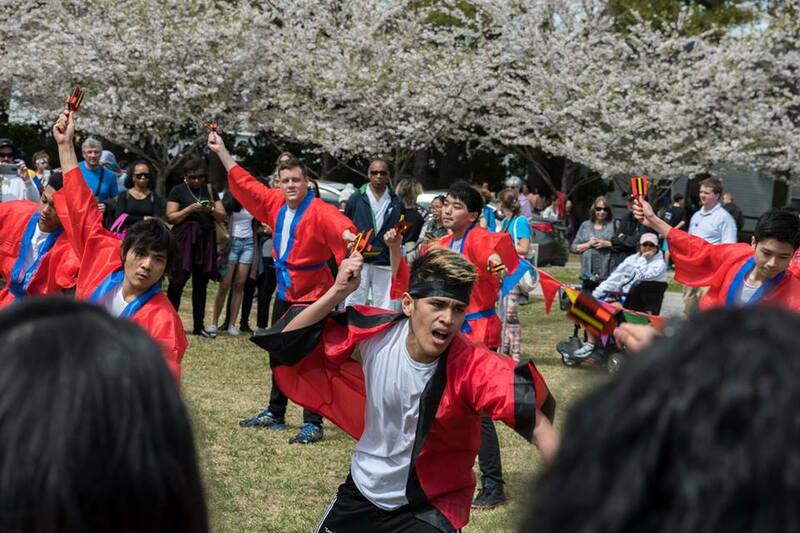 The Cherry Blossom Festival is sponsored by Virginia Beach Parks & Recreation, the Sister Cities Association of Virginia Beach, the Japan Education Culture Center, Inc. Originally scheduled for April 6, the festival has been postponed until April 7, due to expected weather! For more information, check out the event on their website, Facebook, and Virginia is for Lovers website. Have you attended this event previously? Are you looking forward to attending the event this year? Tell us your thoughts in the comments below!